Back of the Head: Should Batman Kill The Joker? This essay, Why Batman Should Kill The Joker has made the rounds of the comic book related websites I visit. It's not a new topic for debate, and certainly it's one I've occasionally pondered in my years of reading Batman comics and watching Batman in other media. One can argue that if Batman kills The Joker, he not only loses his moral high ground and his deepest held principles, but he basically starts down a slippery slope. Does he start killing all of his enemies? Does he kill Penguin, Poison Ivy, Catwoman, Mr. Freeze? That's actually kind of unthinkable, or it is to me. My conception of Batman just doesn't have room for the idea of Batman as executioner. I find The Punisher, for example, kind of abhorrent. Batman's values and principles are what make him heroic and admirable. But one can also argue The Joker is a special case. The Joker is the absolute worst. I would be comfortable in saying, in DC Comics, The Joker is the worst person in the Multiverse. Worst person as in human being; I'm not talking about worlds-destroying space entities like The Anti-Monitor or whatnot. The Joker is simply the worst. He's irredeemable. He can't be rehabilitated, he can't be reasoned with, and as long as there is breath in his lungs and blood pumping in his heart, he will never stop killing and causing damage. 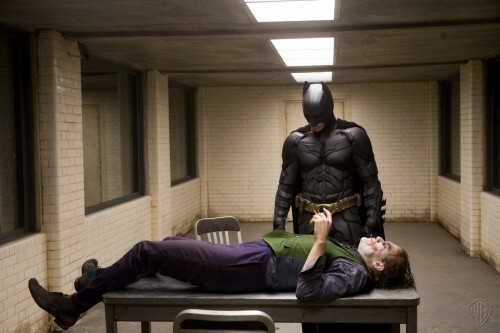 Would Batman be justified, in this one special case, in killing The Joker? Does the amount of good Batman accomplishes whenever he stops the latest rampage or massacre Joker causes balance out the harm Batman indirectly facilitates by letting Joker live? Personally, I don't think it does. I think The Joker is the one circumstance whom Batman has an obligation to sanction. This opens up the philosophical discussion of whether it's ever right to take a life. And we know Batman never will actually do it (not in the established continuity of DC Comics, you know, the one that "counts", outside of Elseworlds, other Earths, and even the Tim Burton Batman film.) But you also can't tell me deep down, whenever Batman engages The Joker he doesn't secretly wish somehow Joker will finally be killed somehow. Just not by Batman's hands directly. And of course, the real reason Batman will never kill The Joker is because those characters have to continue in perpetuity. There's always more money to be made by another Batman/Joker story in every form of media. As Heath Ledger's Joker said in The Dark Knight, "I think you and I are destined to do this forever." But me personally, I would not think less of Batman if he did us all a favor and sanctioned The Joker. I'd sleep better at night, in the Gotham City of my dreams.